If a fat gold chain or Jesus piece isn’t the type of thing you would want hanging around your neck, designer Jess Hunt might catch your interest with the Twitch. 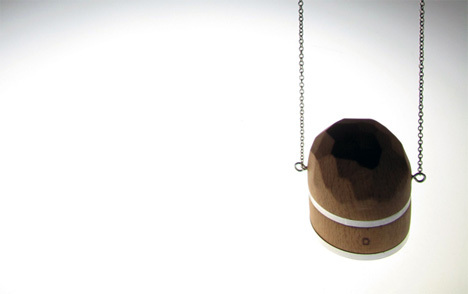 Like any good spy camera, the Twitch wears a disguise: that of a pendant. 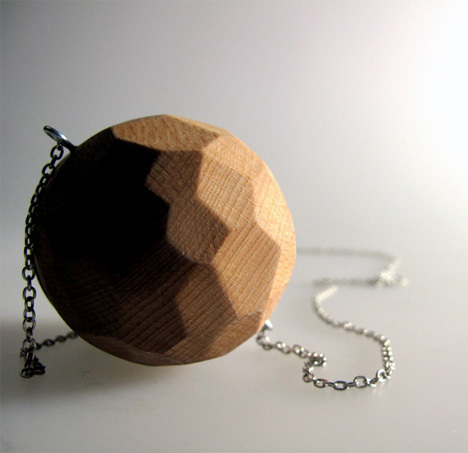 It’s a four megapixel digital camera encased in wood and attached to a silver chain. It’s extremely user-friendly; you just lift it off your chest, twist to focus and snap away. A built-in accelerometer automatically turns the camera on. It’s a simple twist on the typical over-complicated digital camera. We have to wonder, though, what the point of the manual focus is when there is no viewfinder. The designer doesn’t mention how the photos are stored, but we suppose a micro SD card is hiding in the big, chunky part of the pendant. 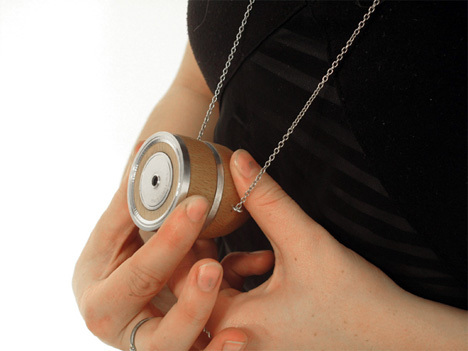 Made of European beech and polished aluminum, it’s truly a lovely piece of jewelry, even if the camera function is a bit confusing. See more in Camera & Video or under Gadgets. August, 2013.